Improving productivity is always an important area of business management, so it’s easy to see why process mapping has become so popular in recent years. Creating and adhering to a predefined strategy will almost always enhance team work and overall efficiency in the workplace, but process mapping takes this concept to the next level. A value stream is a chain of steps that a company uses to bring value to the customer. By concentrating specifically on objectives that add value, you’ll not only be working primarily on higher priority tasks, you’ll also be achieving higher customer satisfaction rates as people will inevitably notice the improvements. Value stream mapping (VSM) is easier to do when you use a specialized workflow management software like Kanban from Kanbanize, which has features catered towards VSM and other types of mapping. While VSM may sound complicated, it’s simply about visualizing tasks and separating them into three main categories – To Do, In Progress, and Done. You can only achieve peak productivity when your team is able to seamlessly shift from one task to another without any delay or hesitation. During the course of a single workday, your team could be handling dozens, hundreds, or even thousands of separate tasks. Ultimately, VSM and all other process mapping techniques are designed to help transition from task to task in a unified and streamlined fashion. When you have a solid game plan that’s mapped out on a project management board, the whole team knows exactly what to do next. Furthermore, everyone knows how much time should be allocated to each task, the optimal results they should be aiming for, and other critical goals and details. If your team is just doing the “best job they can do” without thinking about the bigger picture of a custom workflow, then there’s no standard that managerial staff and ownership can use as a ruler to measure the success of the company. Thus, mapping not only expedites processes, butit also provides a fundamental means for enforcing accountability and identifying weak strategic links in the company’s value stream. For example, if a company owner holds a meeting to tell the key managers that their team is expected to average at least 100 sales per month, that gives everyone a clear minimal quota to aim for in that statistical category. Managers can then refer to those base expectations when analyzing progress reports in retrospect to establish which metrics need to be improved upon going forward. Finally, another way workflow mapping can help your team perform better is by instilling confidence and direction through visualized guidance. When every team member knows exactly what they’re supposed to do and when they need to get it done by, there’s never any uncertainty about what to do next or who should be doing it. While it may take a week or two to adjust to your new workflow system, once everyone’s gotten the hang of it, your team will be moving with the speed and efficiency of an automated script. On the other hand, if you take a sloppy, hands-off approach to workflow management and just let your employees “go with the flow,” chances are the flow will wind up being quite slow in comparison to what your team could be doing at an optimal productivity level. Did you know that many entrepreneurs and wealthy individuals often segment their workdays into small blocks and set a goal for each time block?In fact, Bill Gates is known for his 5-minute timed tasks that comprise the majority of his work day, and Elon Musk has also said that he splits his workflow up in a similar way. The reason why this works so well to boost productivity is that you’realways under pressure to meet an approaching deadline. As soon as you finish with one small deadline, you reset the clock and now your next objective is started immediately. 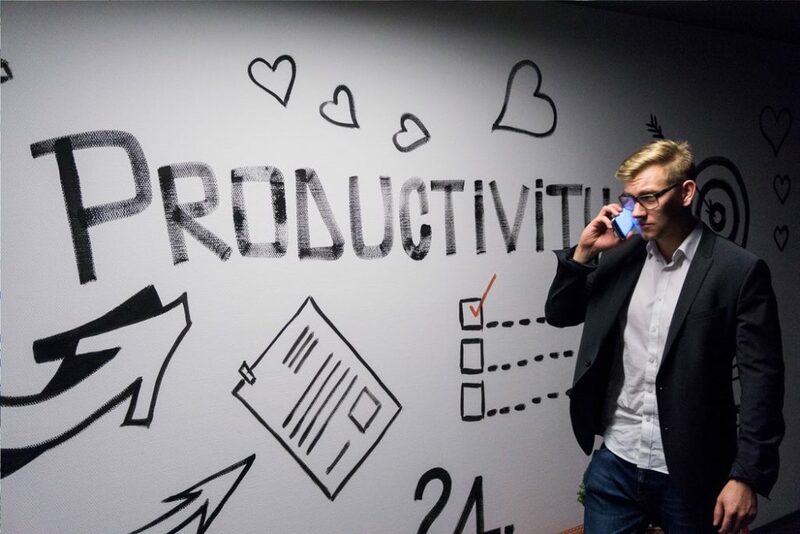 By tackling tasks one-by-onein a back-to-back manner, you can eliminate much of the downtime that comes with procrastination and intermission. In conclusion, process mapping is practically essential if you want to elevate your team’s proficiency to the level of professionalism required to scale up into a large, bustling corporation.